Oil rubbed bronze is a very popular color these days. So, you might already have some or be choosing a particular kind you like already. 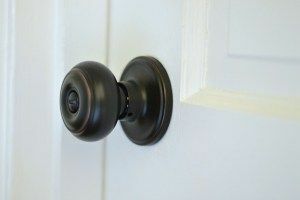 We'd like to show off how some of our oil rubbed bronze hardware that has been used recently with these blog features. 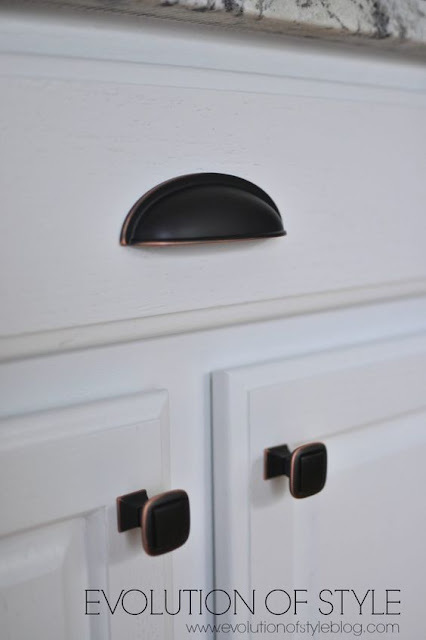 Evolution of Style uses these matching venetian bronze cup pulls and knobs from Liberty Hardware. Featured on her white kitchen makeover they add a classy touch of style. What a dresser! 16 drawers total and each with two little milk bottle knobs in oil rubbed bronze with a matching label holder so you know what you're getting into. That's My Letter created this gem. Finding Purpose Furniture uses our venetian bronze with copper highlights pull in a squared off design with a slight arch on her bathroom makeover. We carry the Copper Creek residential door collection and it was used by Wife in Progress to update her hallway. Check out Wife in Progress and/or our Copper Creek Collection. 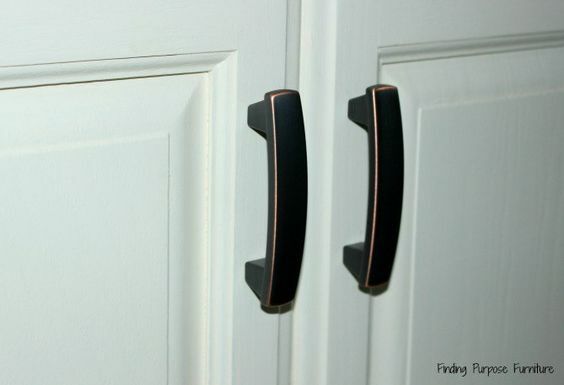 From Home Road these oil rubbed bronze hooks make for a great welcome at the door coat hanger. Big with plenty of space for holding heavy coats and jackets. From Colour Saturated Life this hardware offers clean and elegant lines and is a great addition to kitchen or bathroom cabinetry. This beautiful knob is a 2" bar knob bronze with copper highlights available at our store. Cyber Monday - Free Shipping on Every Order! D. Lawless Hardware will be closed over the holidays so that we can spend time with our families. All orders place over the weekend will be shipping immediately up our return Monday. On Monday, ALL ORDERS WILL SHIP FREE EVEN IF THEY ARE FOR LESS THAN A BUCK! Hopefully a lot of people can take advantage of this. 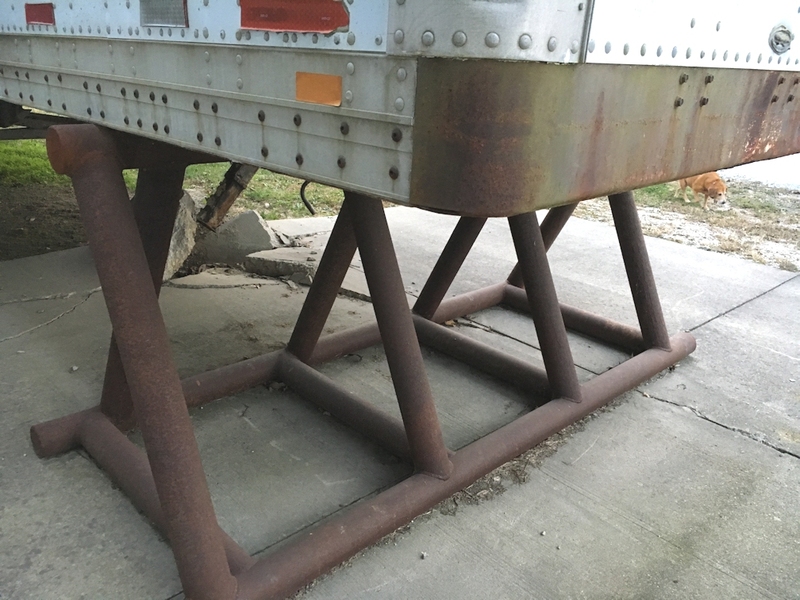 We don't build shipping prices into the product prices and we know this discourages a lot of small buyers since our S&H is $10.75 on small orders. Good morning everybody! I'll make it short today because I'm in a hurry. Here is the knob and the rules below! 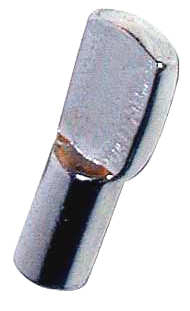 This oatmeal porcelain knob is a D. Lawless product and goes great on country style applications! Ever Have Ten Million of Something? D. Lawless deals in a lot of closeouts from the big guys that ordered too many or made a bad investment or whatever. Sometimes we've got to take package deals. It's take them all, or get none of them. This is one of those deals. When Dave Lawless found out he had to either take 10 million at once or get none he thought to himself, "Will I ever have the opportunity to have 10 million of anything again?" The idea was too much to resist and he took them all. So...we have 10,000,000 of these little shelf supports and we sold 40,000 last year. At this rate my great grandchildren will still be hocking these! So I'm writing this post to get the attention of anyone needing quantity. Our price is unbeatable at just .01 each. Average price around the web is 7 or 8 cents each. They are listed cheap on the website. 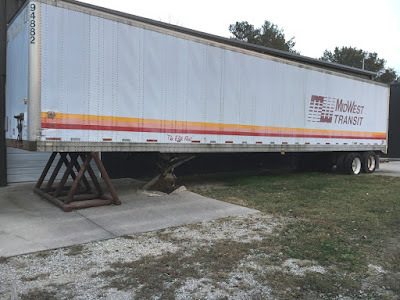 If you really need a lot of them give us a call and we'll deal! Here's the trailer we keep them in. Nothing but shelf supports...lol! But we are handy and made our own stand to spread the weight out! No problem too big for D. Lawless and the crew. 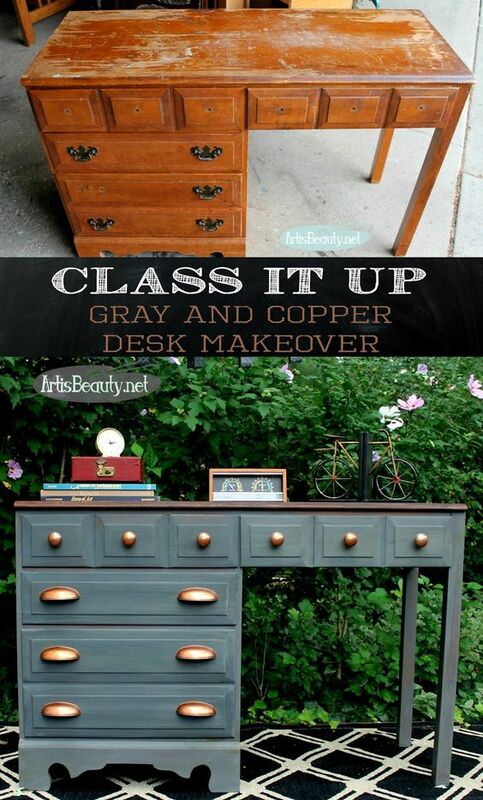 From thrift stores to Craigslist, there are some great before and after photos in this short list of desk makeovers. Learn how with a little elbow grease you can create your own vintage desk look with this list from our blog partners. Choosing a custom created gray color for the base, Art is Beauty uses our copper kettle cup pulls for accent and style. You can see the incredible before and after photo above. 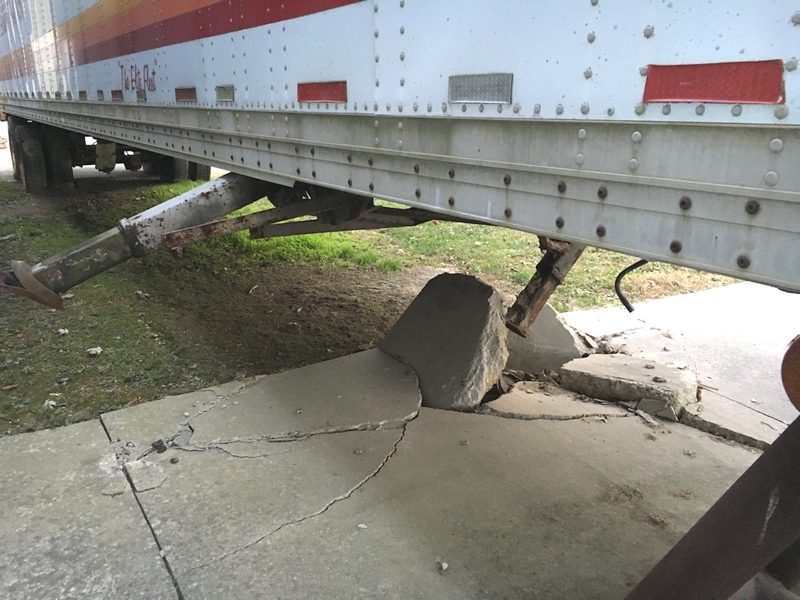 Make sure to click over to see this incredible transformation break down. 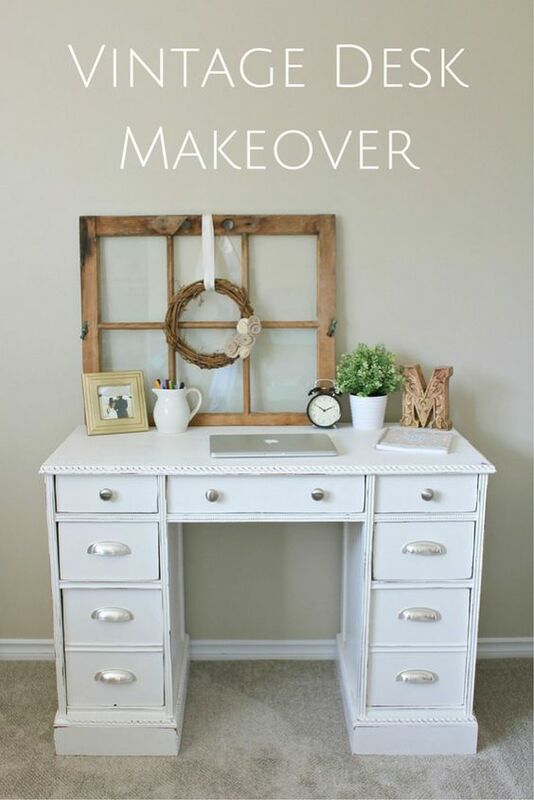 Another great before and after, Kim Six Fix walks you through her desk makeover. Bought at a thrift store for only $9 this piece really comes together nicely. 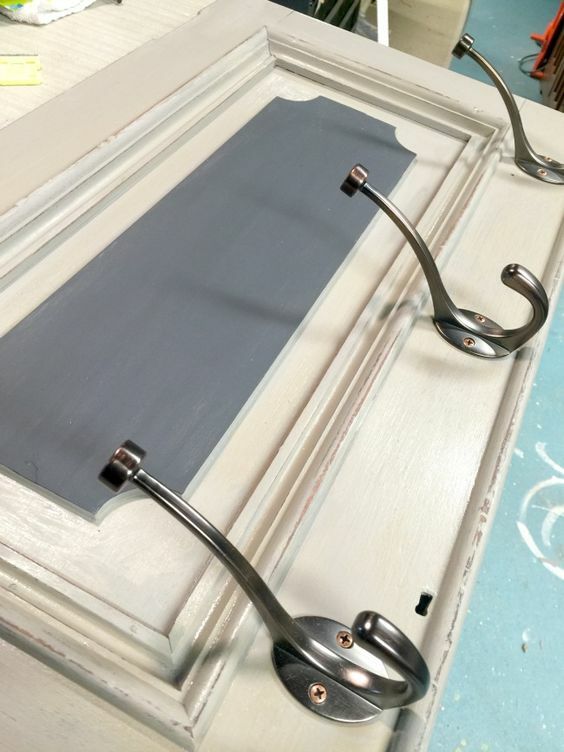 Painted in Evening Dove by Benjamin Moore this goes perfectly with our satin nickel knobs and pulls. This is piece started out in a dull yellow and was then painted white with a gold stencil pattern on top for a beautiful accent. D. Lawless clear glass knob and pulls provide the finishing touches to a great desk makeover. Brought to you by Virginia Sweet Pea. In her Thrift Score Thursday, Maggie Over By Studios presents this lilac purple desk makeover. With the addition of some great modern knobs and pulls which contrast its traditional style the desk has a totally new look. 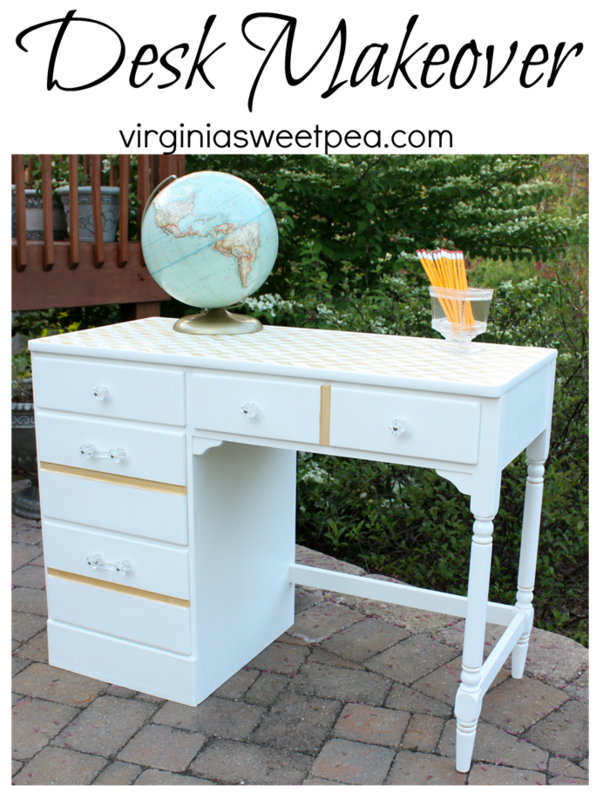 This vintage desk has been given new life and I'm in love with its light and bright new look. The drawer liners are fabulous too with a simple cut of flower wrapping paper used. To see the full vintage desk makeover check out Making it in the Mountains. A nice find off of Craigslist just a mile from her home this piece was painted in Valspar's Ship Shape and then distressed a bit. Makes for a truly unique hue from Stacey Embracing Change in her sweet blue desk makeover. 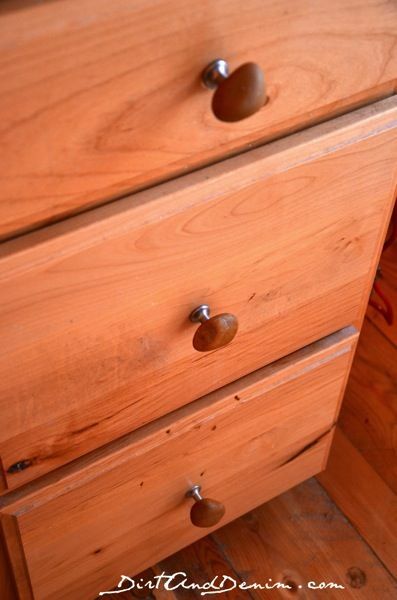 Pumpkin-shaped acrylic knobs adorn the drawers courtesy of us. 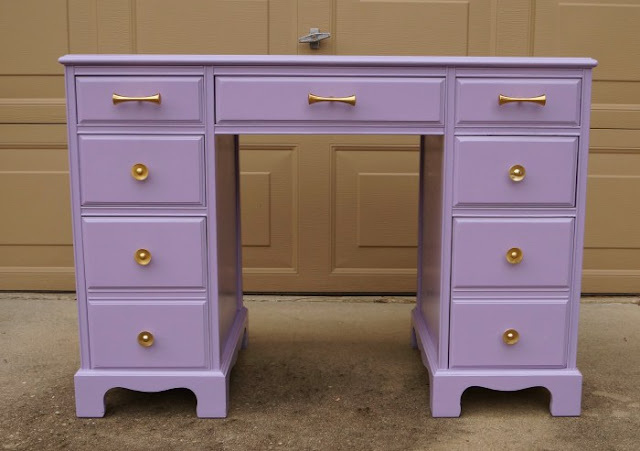 My Repurposed Life takes an old sewing machine and turns it into a vintage desk. 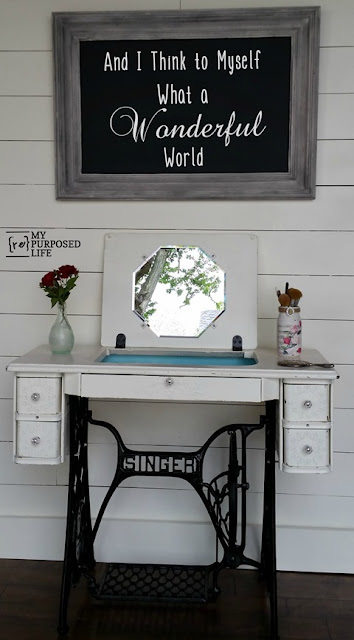 This would serve great as a vanity, makeup table, desk, or jewelry organizer. We are proud to have provided the one inch clear glass knobs for this repurpose. Free Hardware Friday #37 - Peas & Carrots Edition! I've got some funny weird pulls today. Hard to tell if anyone will actually want these, lol! We've got a nice little page of fruit and veggie pulls we've gotten our hands on over the years. They don't sell well. Weird huh? Maybe they'll sell better if I get some pictures of them in use. They really are kinda cool if you happen to have a fun project to use them on. I don't expect to see them in any kitchens any time soon! Here they are! The rules are at the bottom. I hope I get a few takers! You can have either one or both depending on what idea you have. First up is a 3" green pea pod pull from Liberty Hardware. And also I had to include carrots with the peas, this pull is 3 3/4". We have a great line of knob and pull bases that all kinds of individuals, groups, and businesses are using to create their own unique knobs and pulls. 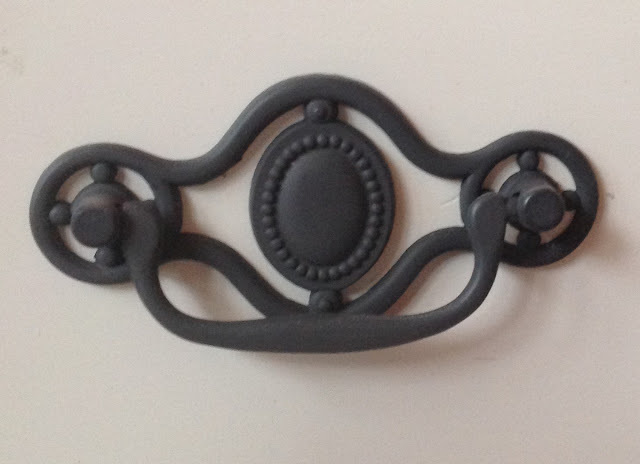 Made from all kinds of different materials with wonderful variety let's take a look at some of the knobs and pulls our customers have created over the last few years. 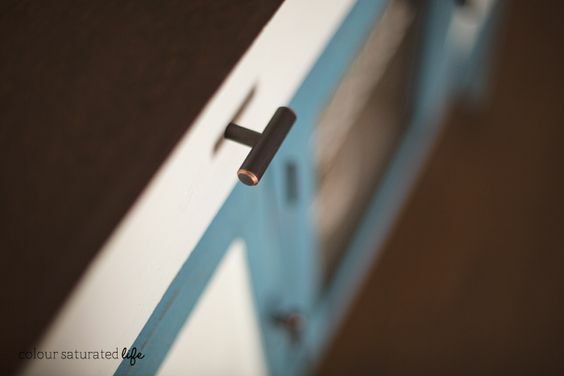 First up is this beautiful piece of glass hardware from the kilns of Design Studio 180. These stylish black glass knobs are created by cutting and stacking art glass in layers. Glass again, but this time from Siettos amazing custom glass cabinet knobs and pulls collection. Visit his site to see an amazing array of colors and styles of custom glass hardware. 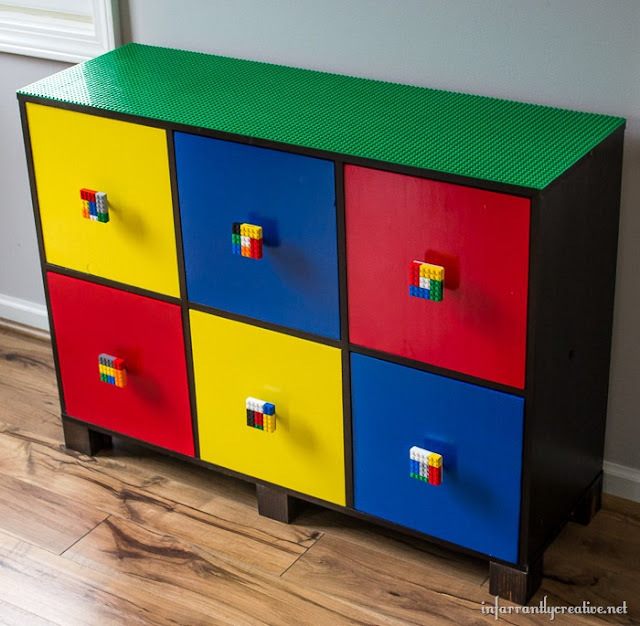 Proving that you really can create anything and everything with our knob and pulls bases, Infarrantly Creative really shows off with this custom Lego made dresser complete with the Lego knobs. 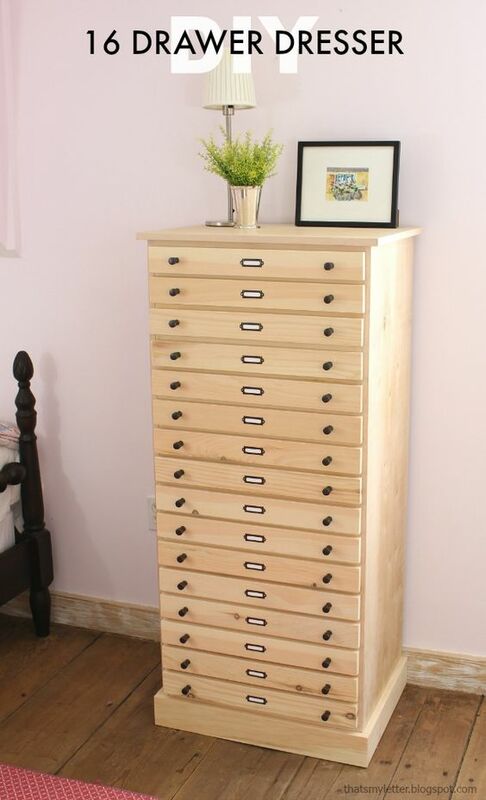 She turned and IKEA bookshelf into this small dresser. Click over to find out how. Gorgeous DIY selenite knobs from Rain on a Tin Roof. I believe the shade of green behind these adds to the beauty. 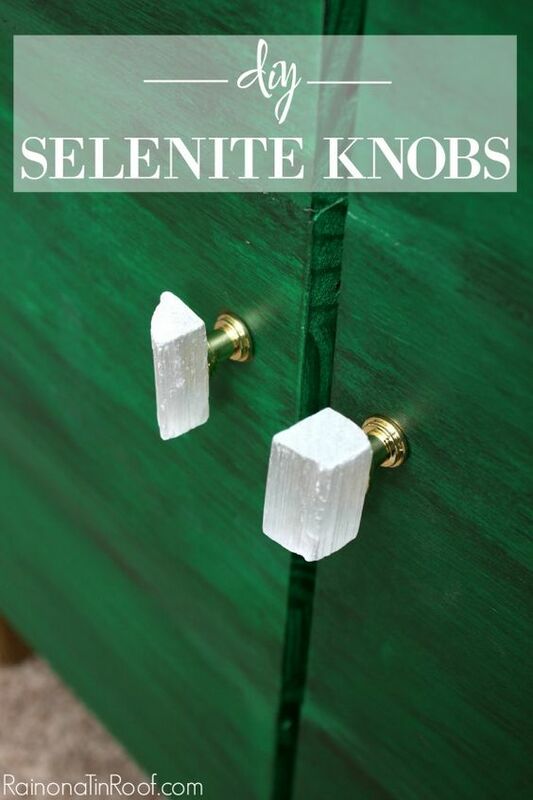 With limited materials and a very cheap budget Jenna shows you how to make your own selenite knobs in 3 simple steps. 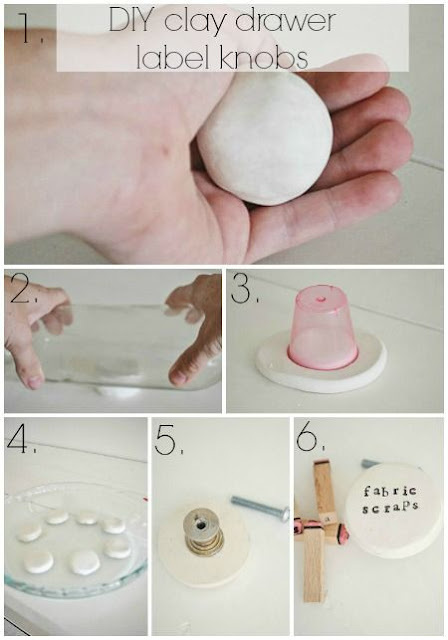 From Dirt and Denim, this is an awesome tutorial on how to make your own rock knobs using our bases. Purchasing some rock knobs can cost you up to $12 a pop. Just learn how to make your own by visiting this blogs DIY. Our knobs and pulls making section includes more than just bases. 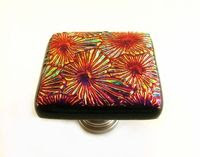 We also have glass cabochons which can be utilized in creating your own knobs as well. Sew Heart Felties takes some plain wood knobs and our glass cabochons to create this cute pink knobs with unique featured art in the centers. 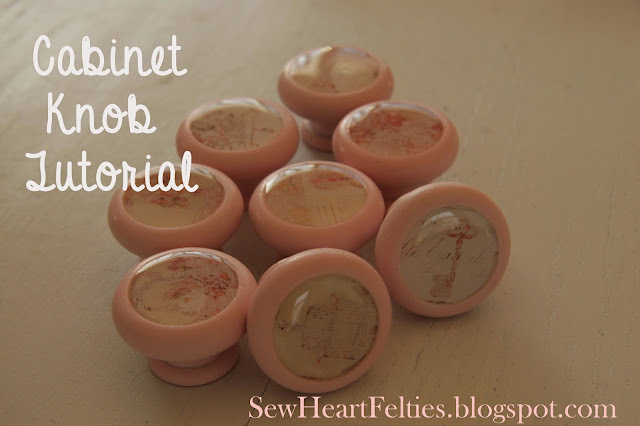 As pictured above, you can create your own DIY clay drawer label knobs in six easy steps. Liz Marie walks you through the process step by step over at her blog. 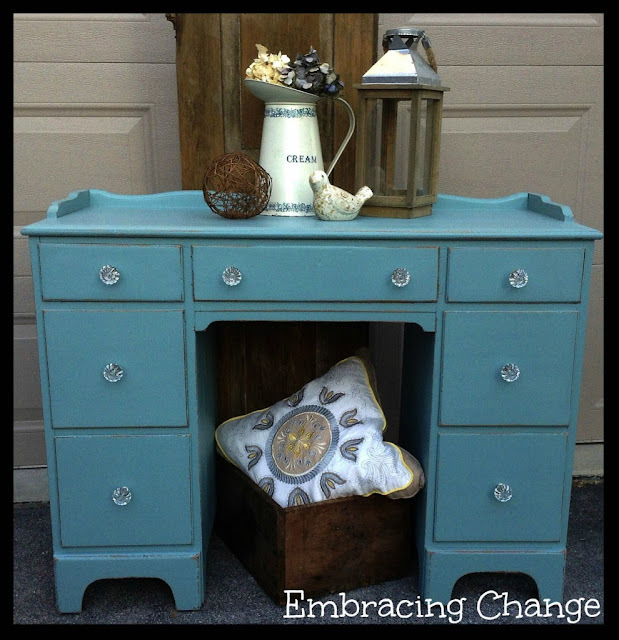 Don't miss out on her dresser makeover with these adorable clay drawer knobs! 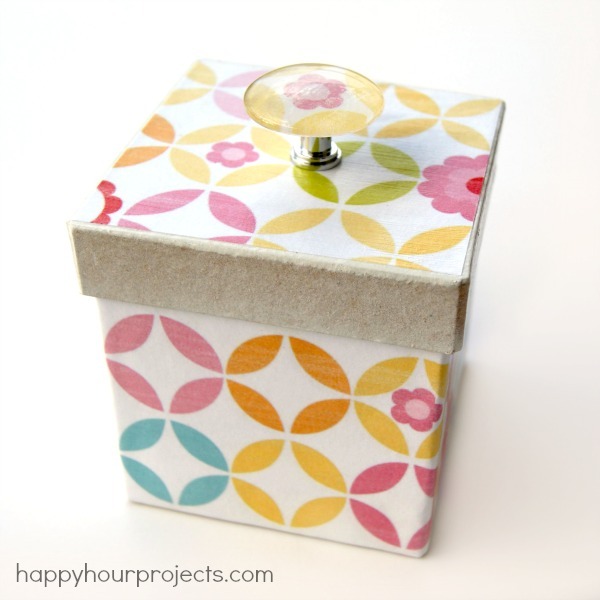 Happy Hour Projects creates this paper mache gift box with our glass cabochon and knob base featured on the top. The knob provides a nice finishing touch to a spectacular simple project you can do on your own with a little help in her DIY tutorial. 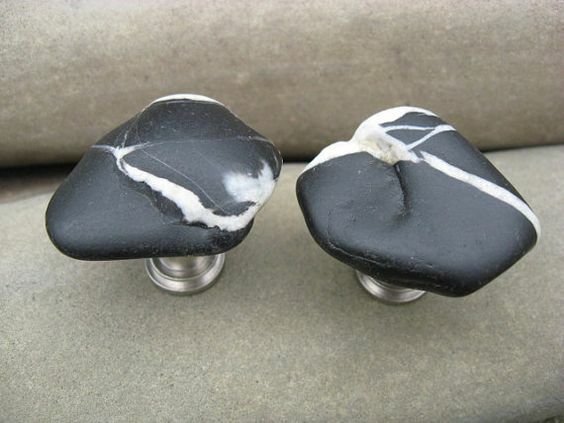 Lakeshore Stones in Michigan makes these absolutely beautiful cabinet knobs with our bases. Using petoskey stones, which are a rock and a fossil from Lake Michigan these pebble shaped knobs are composed of fossilized rugose coral. 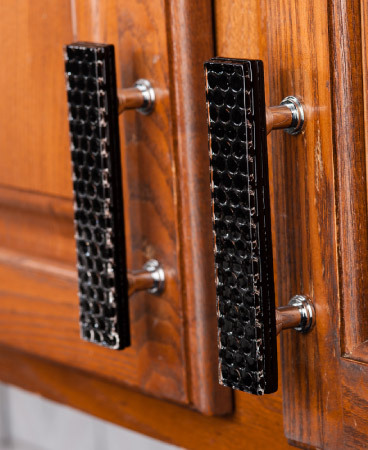 Again from Sietto, who has an amazing collection of custom glass knobs and pulls using our bases, is these black honeycomb pulls with a very nice texture. 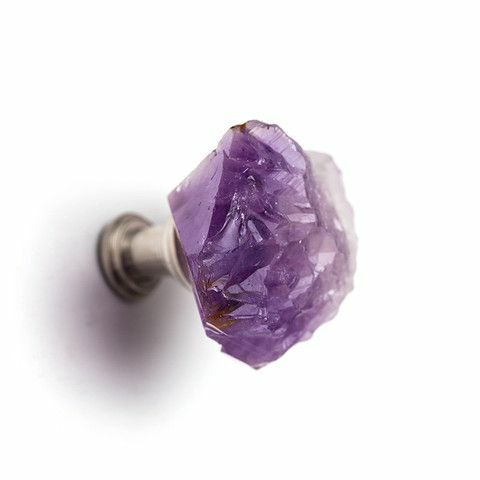 With My Intention does a ton of awesome accessorizing work whether it be jewelry or cabinet hardware and they use our knob making bases to create beautiful gemstone knobs like this one. These knobs come in amethyst, agate, carnelian, emerald, calcite, labradorite and more. 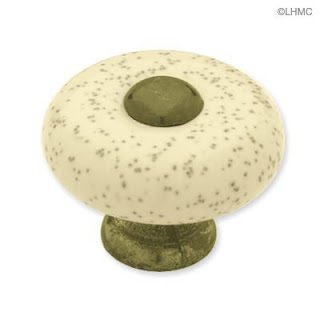 Tim at Lake House Treasury has an amazing array of simple, yet elegant beach stone cabinet knobs. In all different styles, and hand picked for their unique look, these are a must buy. Uneek Glass Fusions creates some incredible custom glass knob and pulls that are each individually as unique as it gets. You have to check out the incredible collection all using our bases over at her website.